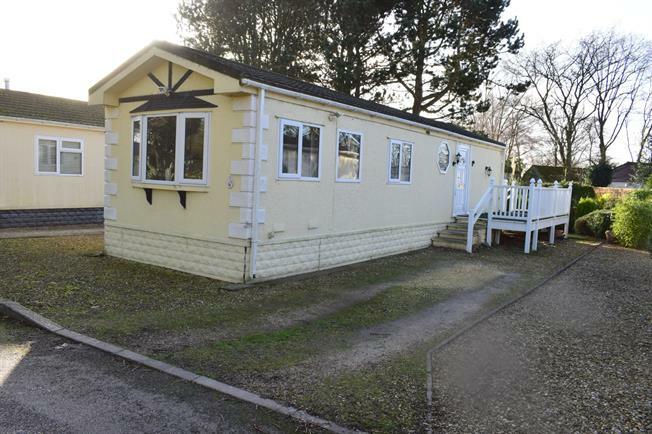 2 Bedroom Mobile Home For Sale in Macclesfield for Guide Price £50,000. This two bedroom park home is of a traditional layout and is bright and airy. The living room looks out over fields and is separate from the dining kitchen. There are two bedrooms, both of which take a double bed and have ample storage. In addition is a modern shower room. Externally there is a driveway to the side, a raised decked terrace and a garden that is laid to lawn with shrub borders and hosts a utility shed, ideal for bike storage etc. This property is very much priced to sell and early viewing is advised.